Shaila Catherine is the founder and principal teacher of both Insight Meditation South Bay, a meditation center in Silicon Valley, and Bodhi Courses, an online Dhamma classroom. She has been practicing meditation since 1980, with more than eight years of accumulated silent retreat experience. She has taught since 1996 in the USA, India, Israel, England, Europe, and New Zealand. Shaila has dedicated several years to studying with masters in India, Nepal and Thailand, completed a one year intensive meditation retreat with the focus on concentration and jhana, and authored Focused and Fearless: A Meditator’s Guide to States of Deep Joy, Calm, and Clarity, (Wisdom Publications, 2008). She has extensive experience with the practice of metta, including seven months exploring metta as the meditation subject in retreats. Since 2006, Shaila had continued her study of jhana and insight with the guidance of Venerable Pa-Auk Sayadaw of Burma. She authored Wisdom Wide and Deep: A Practical Handbook for Mastering Jhana and Vipassana (Wisdom Publications, 2011) to help make this traditional approach to meditative training accessible to western practitioners. Heartfelt thanks to all who support the work of IMSB in so many ways, and especially to the 65 generous donors who helped us reach our fundraising goal of $30,000 for our 2018 year's end appeal. Our final total was $32,330, which will cover almost half of our operations budget for the coming year. Ian White Maher recently interviewed Shaila Catherine for his online Dharma podcast program. The conversation covers deep dhamma topics that include ethic, deep concentration states of jhana, and the aim of awakening. Enjoy listening at: https://ianwhitemaher.com/shaila-catherine/. 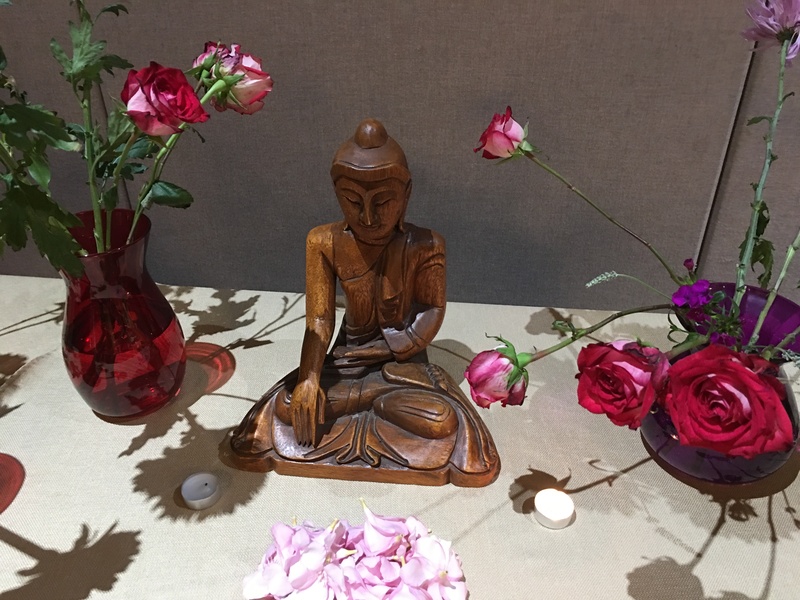 Sharon Allen offered a lovely guided meditation at the Thursday Class. Her instructions support the recognition of impermanence. She encourages students to notice how things pass away, maintain a balanced mode of mindful observation, and note them as "gone". Listen to the recording here. Spring Retreat at new site in Upper Lake, CA was a success!